From the mid 1950s the Reed publishing house began to develop a range of products for the new and lucrative tourist market, which had opened up through more affordable air travel. The images and text in this online exhibition are extracted from Reed's Kowhai Gold Colour Books. 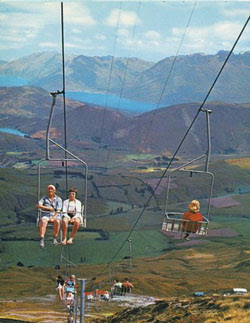 They allow you to travel virtually through Reed's New Zealand, from Romantic Northland to adventurous Queenstown.